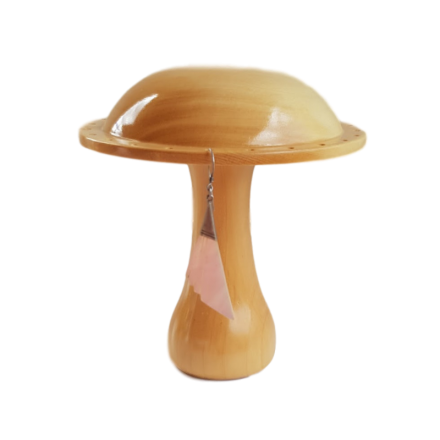 Handcrafted from a piece of salvaged Tasmanian Huon pine this earring holder is elegant, useful & decorative. Holds 12 pairs of earrings. Measures approximately 13cm in height and 13.5cm across top.